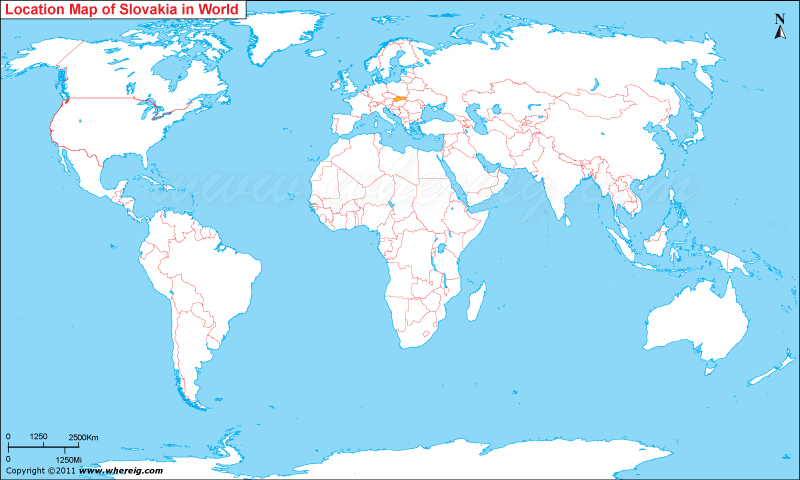 The given Slovakia location map shows that Slovakia is located in the central part of Europe continent. Slovakia map also shows that Slovakia is a landlocked country that shares its international boundaries with Poland in the north, Czech Republic in the north-west, Austria in the west, Hungary in the south, and Ukraine in the east. Due to its geographical position, the climate type of Slovakia varies from continental to temperate. Bratislava is the capital as well as the largest city of the country, and the second largest city is Kosice. The government type of Slovakia is a parliamentary democratic republic featured with a multi-party system. Under this political system, the president is the head of the state who is elected by direct popular vote for a five-year term. Besides, Slovakia is a member state of the United Nations, European Union, NATO, OECD and WTO. The economy of the country is one of the developed economies of the region and largely depends upon industries, manufacturing, and agriculture. Above all, tourism is also fast growing industry in the country.